Nurse Vanessa does not have the typical nursing journey. She started off as a college drop out at age 18. She entered the world of music videos, modeling and working at Hooters for a few years. She then found herself signing up for CNA school at age 21. She decided afterwards to return to school for the LPN program. 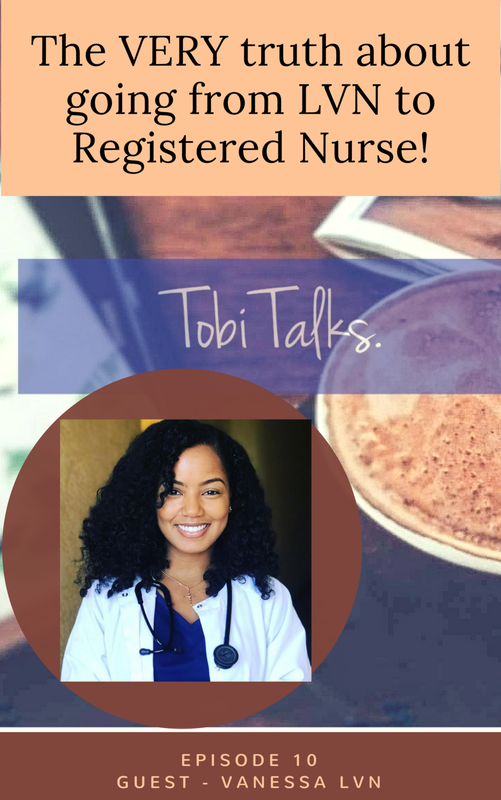 Graduated at age 22, took her state boards and became a Licensed Practical Nurse. Vanessa was excited and proud of her accomplishments. Going from a drop out to a Nurse, in just one year. She started working at a long-term care facility for children and quickly fell in love with providing patient care. She worked for 2 years straight without even thinking of returning to school. Up until one day, she decided she wanted more. Working at a nursing home (long-term care facility) can be challenging. High patient load, no benefits, lots of responsibility and very little help. She went online to search for LPN jobs in either a doctor’s office or hospital in her area, and she was disappointed to find there weren’t very many. She then searched for RN jobs and found hundreds and hundreds of jobs. It was time. Vanessa returned to college at age 25 and started from scratch. A lot of people think that when you become an LPN you don’t have to take pre-requisite courses for the RN program. But that’s not true. It took her 2.5 years to complete all pre-requisites. She finally entered the RN program at age 27, May 2018. One of the happiest moments of her life. Vanessa did not take the traditional route at all. She is now 2 weeks from graduating on April 30, 2018 with her Associates Degree in Nursing, and for the second time, taking the NCLEX. After 6 years of being an LPN, feeling that she was not enough, going to school and facing so many trials and tribulations. She’s finally here. To find out more about Vanessa, visit her Instagram page and YouTube channel.